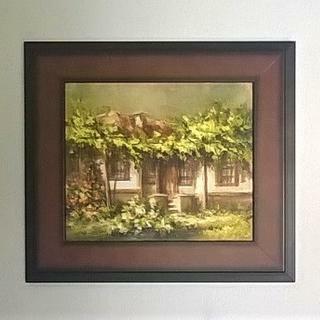 We wanted to frame an oil painting of an ancestral house that doesn't exist anymore. 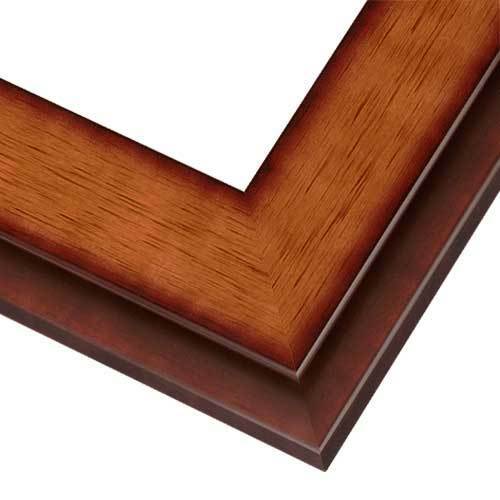 The frame is of a good quality and holds this particular canvas really well. Everyone in the family likes it very much! I’m always pleased with the frames I’ve ordered from here. They are good quality and look as presented in the picture. Good material and great workmanship at a reasonable price. I'm happy with my purchase. I loved all the hanging options. We purchased this frame for a water color that was done for our daughters pet. The frame and the double mat enhanced the picture. Suits the art work perfectly. I like the quality and I think it will suit the painting.